If you’re considering fumigation to address a termite problem in your home in Long Beach, California, you owe it to yourself to consider the alternatives. Tenting can be a major hassle that interrupts your home life for days and forces you to spend additional money on alternative accommodations while treatment takes place. What’s more, fumigation can leave residue throughout your home that may linger long after the treatment process. Effective – The KILGUARD system completely eliminates both subterranean and drywood termites. And, unlike tenting, it doesn’t allow subterranean termites to go into the ground and return once the termite control process is finished. Convenient – The KILGUARD system does not involve noxious fumes and odors. Not only can you stay home throughout the treatment process, you won’t even need to bag up your food and medications. 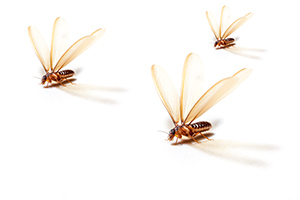 We’re so confident in the effectiveness of our termite control system that we provide our customers in Long Beach, CA, with an excellent two-year warranty – something you’ll be hard pressed to find with companies that provide fumigation. Contact Kilter Termite and Pest Control today to learn more about all the advantages of choosing us over fumigation companies. We will be happy to discuss your treatment options and to schedule a free termite inspection at your home in Long Beach, CA.